Antonio Saura, painter as well as writer, dedicated several texts to Pablo Picasso which give us some keys on a new vision of Picasso. Most of them had never been yet translated into French until this edition. 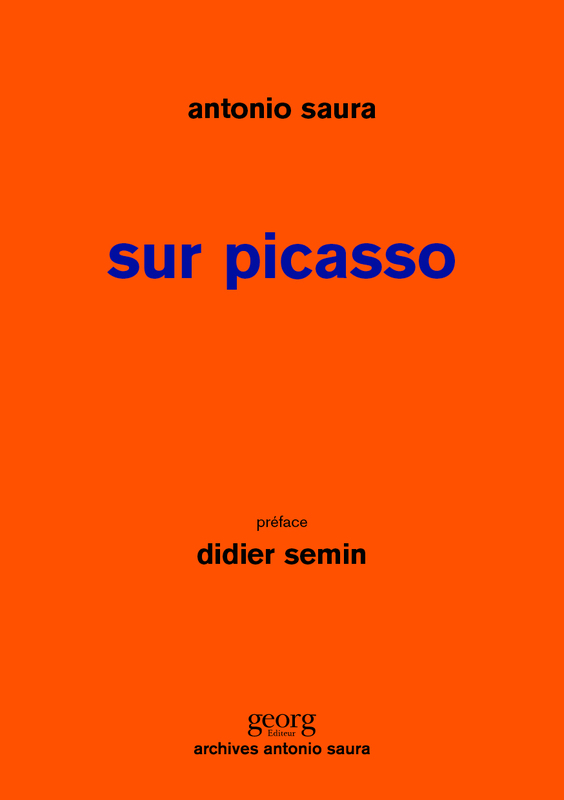 This book gathers the ensemble of these texts, including Contra el Guernica (Against Guernica), Saura’s now famous sulphurous pamphlet, as well as Carta imaginaria a Pablo Picasso (Imaginary Letter to Pablo Picasso), published for the first time.